They were so terrible that, by the end of the season, game recaps had gone from the top of the fold in The Baltimore Sun to buried in teeny-tiny type near the bottom of the page. Even when they won. They were so terrible, I can’t even find a photo of them to show you. They ended the season 46-101. That’s a .313 win percentage and 54 games back of the Boston Beaneaters. Your current 19-44 record in 2018 is a .302 win percentage — the worst in baseball and 24.5 games back of the New York Yankees. 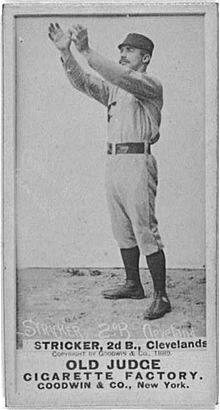 Look, they had a starting pitcher named Cobb in 1892, too. George Cobb, 1892. 4.86 ERA. 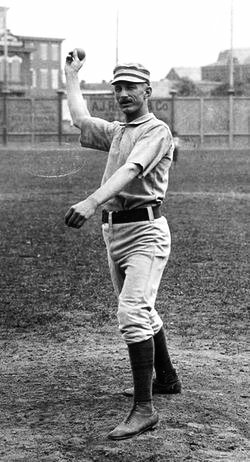 The 1892 season was his first — and last — in the majors. Alex Cobb, 2018. 2-7. 6.19 ERA. 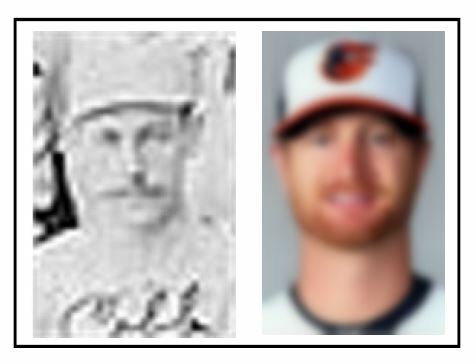 Fun Fact: The 1892 O’s bullpen included Egyptian Healy, Crazy Schmit, and Adonis Terry. Those names are the only thing fun about 1892. That June, the Orioles announced that they would cut players’ salaries on July 1. The O’s weren’t the only salary-cutting club that season – Philadelphia, St. Louis, pretty much every team was cutting salaries. It was a tough season and in the days before free agency and players’ unions, that’s what team owners did. Fans had stopped going to the games. 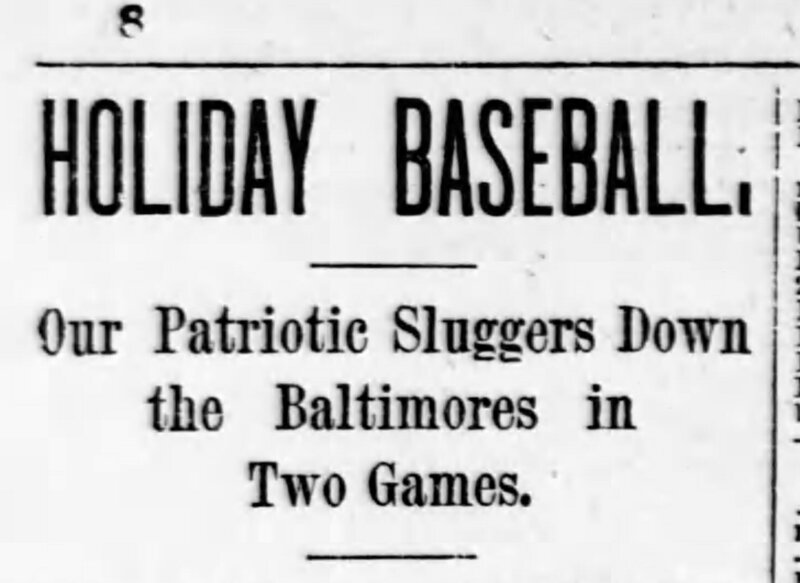 The O’s ended up playing “home” games in Pittsburgh on Memorial Day and the 4th of July because the team figured they’d make more at the gate there than at Baltimore’s Union Park. Cleveland just up and left in the middle of a game in Baltimore because they had other places to be. They just left. One Orioles pitcher, Charlie Buffinton, quit rather than take the salary cut. He said he was going home to Massachusetts to work for his dad. Buffinton’s monthly salary with the O’s had been $400, according to The Sun. ($10,610 in today’s dollars.) The salary cut – more than 37 percent – would have dropped him to $250 ($6,632 today). So, ballplayers were making pretty good dough for the day. The rest of the team muddled through with their cut wages and without Charlie Buffinton. 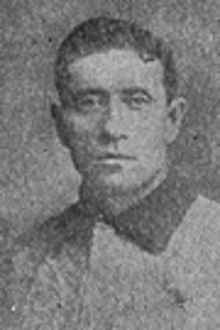 New manager Ned Hanlon – their third manager that season – began to right the ship and their second half was a little better than their first. 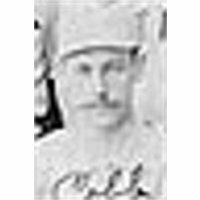 In August, Jocko Halligan, a utility guy, was kicked off the team for an altercation in a Boston hotel that led to him punching Orioles second baseman Cub Stricker in the face. Stricker was never quite right after that. Toward the end of the season those woefully awful Orioles won a few games here and there. But, mostly they lost. They even lost when they didn’t play — forfeiting a game in October because they missed a train connection to Washington and arrived late. I don’t know. Not very inspiring, is it? Sure, you won’t win the AL East this year. Sure, the Wild Card is already wildly out of reach. Sure, you’re probably going to be terrible come September. But, maybe not that terrible. Maybe you can be better than the team of 1892. And, look at what became of them … just two seasons later they were the best team in baseball. But, one game at a time, right? So, a favor to ask. Please don’t get swept by the Blue Jays today. Please. Because that would be awful. SUNDAY GAME UPDATE: It was awful. This entry was posted in Baltimore Orioles, Baseball, Baseball History and tagged 19th Century Baseball, Baltimore Orioles by Jackie, The Baseball Bloggess. Bookmark the permalink. Perhaps there is hope with the new recruits in the draft?! Currently watching a pitching group we paid over $100M for 3 years kill us. or are we just helping out other teams? Baseball drafts are so challenging … because, unlike the NBA and NFL, the “pay off,” if any, is years down the road. That said, those guys may be the O’s only hope … check back with me in 2021 and we’ll see! This is nearly unbelievable, but I promise it is true. The rain stopped last week and the sun came out when the Orioles were taking 2 games from the Mets. And, it’s rained every day since. Lose. Lose. Lose. Lose. Rain. Rain. Rain. Rain. Sigh. I straight up laughed out loud at “uncanny” with the photo side-by-side! Excellent work, as always, Jackie. I love the history lessons! Thanks, Wendy! 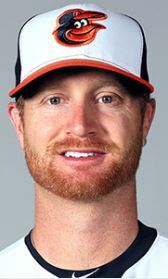 And, blurry 2018 Orioles pitcher Alex Cobb was shelled today … shelled. Because of course he was.